* Broken strings, bridges, bows, most minor damage. Major damage may incur fee. ** Most school districts, contact us for details. We bill either in 3 month or 12 month increments. In other words, you will pay for 3 or 12 months at a time. With the 12 month option, you only pay for 10 months and GET TWO MONTHS FREE! The rental contract is not a rent-to-own contract, however, you will be accruing rental credit that can be used toward the purchase of the rental instrument or any other instrument we have in stock. If you reserve an instrument now, we will charge your credit card at this time. The rental term will not start until 9/01/15. The instrument and accessories will be delivered before the beginning of school. Maintenance, included in the rental price, covers the replacement of broken strings, bridges and bows, and most minor damage to the instrument. Major damage will result in a fee. Complete details of the maintenance are included in the contract. We offer delivery to most school districts in the area for instruments reserved at least a week prior to the start of the school year. Once you have filled out more information about your rental, we will provide you with details on the qualification of your rental for delivery. We also offer a "School Kit" for purchase. This kit includes the method book used by the school, a music stand, rosin, a shoulder rest for violins and violas or a rock stop for cellos and basses. Do I need to know the size of instrument before I rent? Yes. Your teacher can size the student for the instrument or we can do it here. What is the quality of your instruments? Our instruments are considered premium instruments in the arena of student instruments. They are all hand made and we are very proud of them. They are professionally set up with Dominant Strings on violins, Prelude strings on Violas and cello and Helicore on Basses. We model ourselves as the Southwest Airlines in the orchestra community: We provide all the same high quality instruments that the kids are proud to play and show, all at a great value. Do you charge interest on your contract? No, we don't charge interest or any other hidden fees. Period! What is your experience in the orchestra community? We have been involved in the orchestra community for several years. Our concentration and expertise is only on orchestra instruments. We do not rent or sell band instruments. We love the orchestra community and are committed to it. Maintenance covers the replacement of broken strings, bridges, bows, and pretty much everything that can break on the instrument. Complete details of the maintenance agreement are on the back page of the contact. The maintenance does not cover the book, stand or shoulder rest. Do you deliver the instrument to the school? All instruments that are reserved before the beginning of the school year will be delivered to the school before the first day of school. Instruments rented after school starts can be taken at the time of the rental or can be delivered to the school. What is the school kit and do I need to buy it? The school kit includes the method book used by the school, a music stand, a shoulder rest for violins and violas or a rock stop for cellos and rosin. These are the items you will need to play and care for your instrument, as well as things the teachers will require you to have. We provide the school kits at greatly reduced prices to our renters. There can be differences in the price by ISD because of the director requirements. You can buy the items individually if you have some of items already or you do not have to buy it at all. What do I do if I have a broken string or other maintenance needs? We will be providing strings to the teachers so that they can change strings for our students at school. Or you can call us and come to our studio and we will change the string. 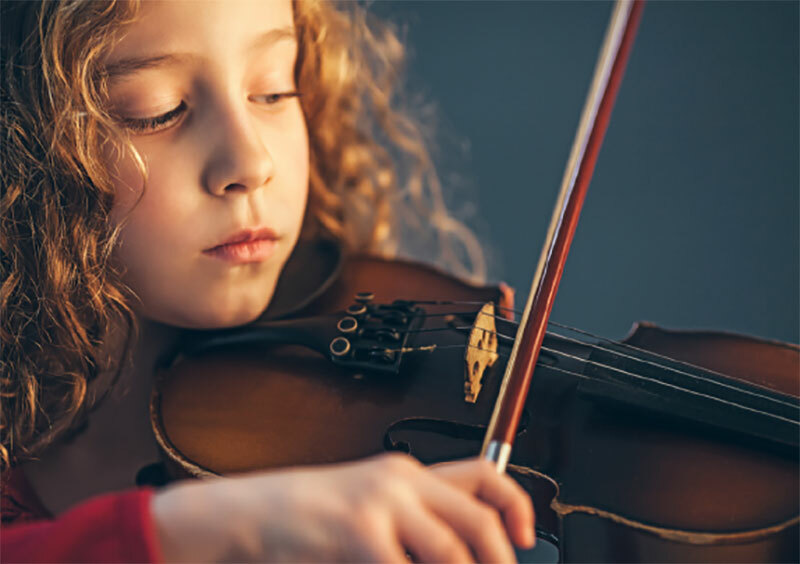 If other types of maintenance are necessary, we will trade out the instrument for a similar one so that the student will continue with the program without any loss of time. We work out of our home studio so it is best to call in advance. What if I want to buy my instrument? The rental contract is not a rent to own contract, however, we will allow you to apply 50% of your rent (not including tax) paid each year toward the purchase of your instrument or one of our step up instruments at non inflated prices.